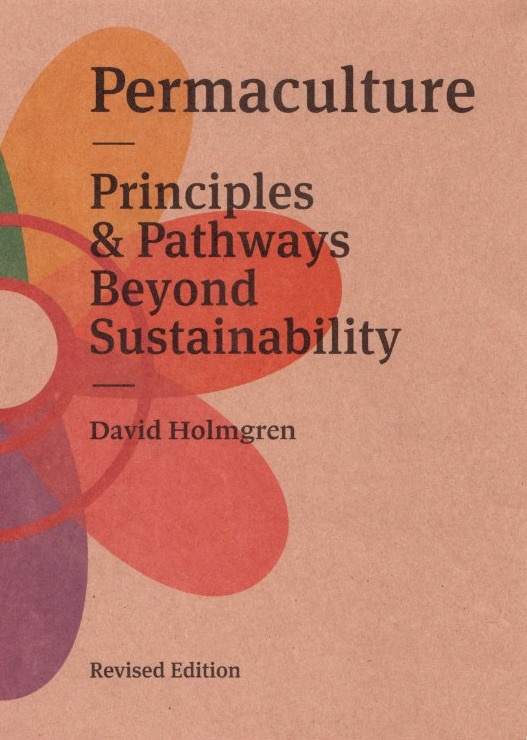 It contains an introduction to permaculture, thoughts about the future of the movement and the values and use of the permaculture principles. A great way to expand your knowledge in preparation for the full length book. This PDF eBook contains interactivity that is best viewed using Adobe Reader. Available in the following languages – free to download and share. 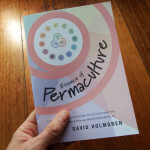 There is also an ePub version of the Essence of Permaculture in full colour at minimal cost. It’s got added functionality that is best suited to mobile electronic reading devices like Android tablets, the iPad and smartphones. This file can also be viewed on your computer using iBooks on the Mac or free readers such as Adobe’s Digital Editions. If you’re after a hard copy, then check out the Essence booklet. 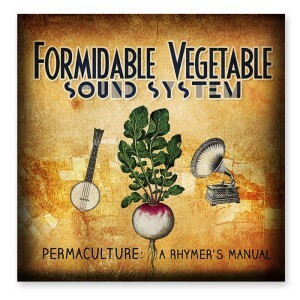 Popular with teachers who run PDC’s and introductory courses. 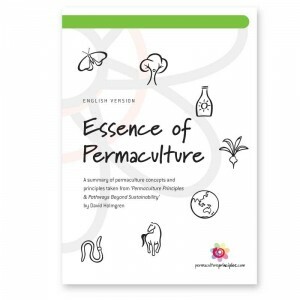 The permaculture concept is so broad in it’s scale that it can be a real challenge to explain to new comers. 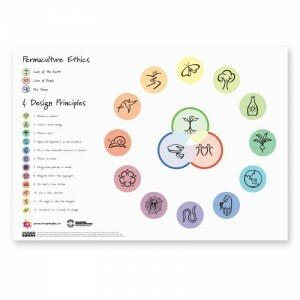 The Ethics and Design Principles poster is a great teaching tool to present to students, or a reference to help you memorise the icons names. Suggested size A3 and above, but can be printed at any size without loss of quality. Usage: This work is licensed under the Creative Commons Attribution-Noncommercial-No Derivative Works. To view a copy of this license, click here. 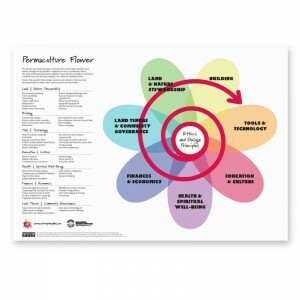 The Permacuture Flower poster is a great teaching tool to present to students, or as a reference. 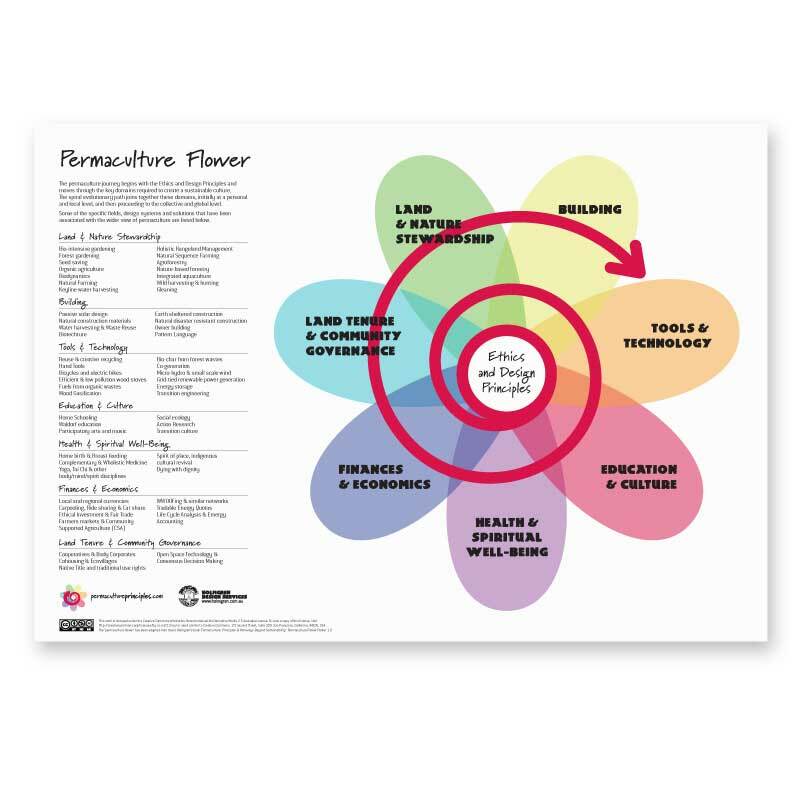 The flower illustrates how the permaculture journey, begining with the ethics and design principles, moves through the key domains required to create a sustainable culture. 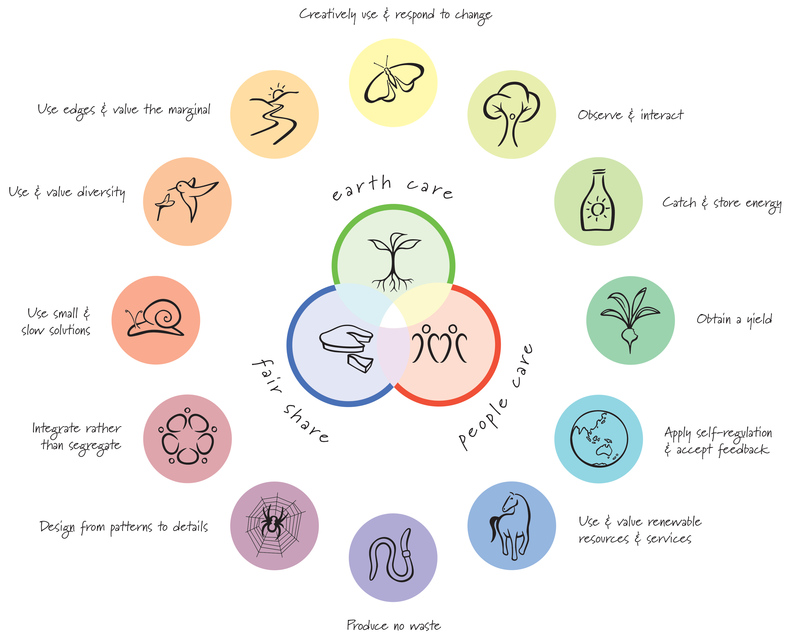 Examples of specific fields, design systems and solutions are listed to help understand the concept. Suggested size A3 and above, but can be printed at any size without loss of quality. You can listen to each of the songs on each of the design principles pages by clicking the icons at the top of this page, or purchase the album here.